HMH Books for Young Readers, 9780544765573, 320pp. 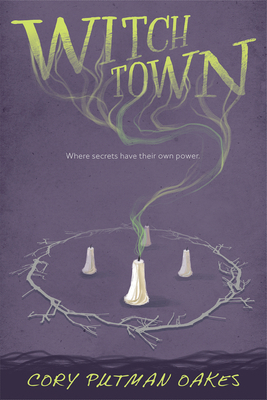 Enter the gates of Witchtown to find a mischievous coming-of-age story for fans of Alice Hoffman's Practical Magic and the Danielle Paige’s Dorothy Must Die series. Sometime around sixth grade, Cory Putman Oakes had to face the sad truth that being a heroine in a Madeleine L'Engle book was not a valid career choice. Since then, she graduated from UCLA and Cornell Law School, worked as an associate at a big law firm, and taught at Texas State University. She finally decided that writing books was the best alternative to living in them. She lives in Austin, Texas with her family. Visit Cory's website at corypoakes.com.